Bedside tables in their myriad of designs should be at once functional and beautiful, working well in the space for which they’re chosen both aesthetically and practically. Metal and wood, all wood, all metal–choose the materials that at just right for your bedroom, whatever its style. Go traditional or think outside of the box and create your own unique look. 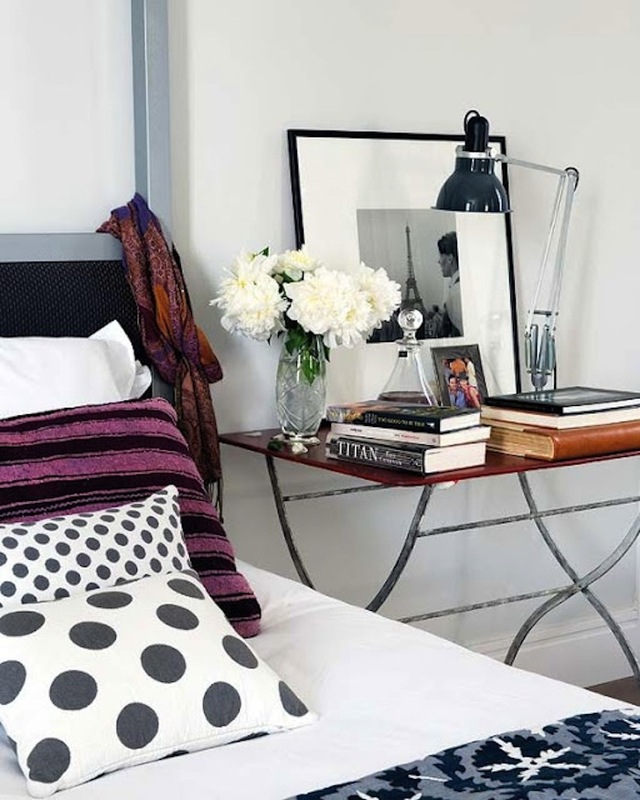 Just be sure the bedside table you choose suits your needs and feeds your creative side. 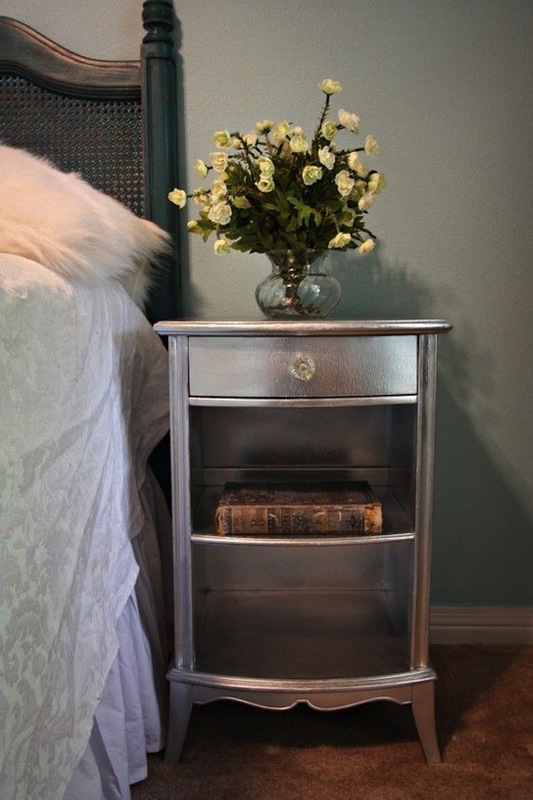 This traditional nightstand was updated with shiny silver paint and a glass drawer pull. We love the new glam persona. 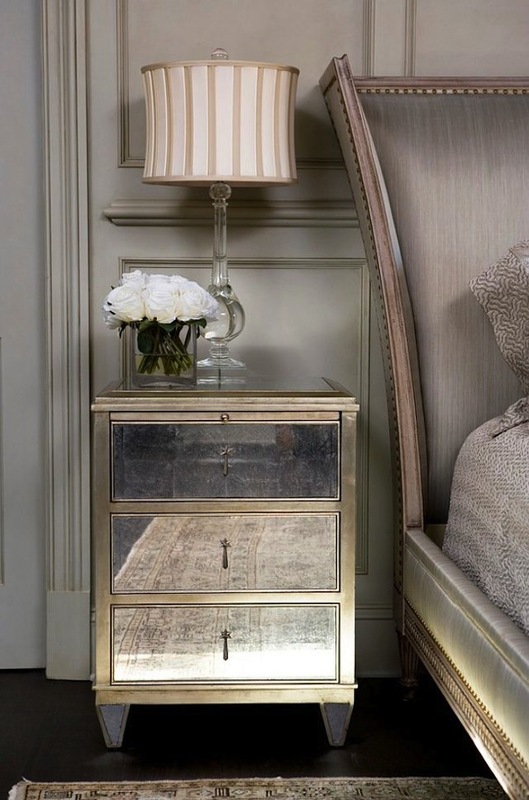 Another glamorous idea is a nightstand in a mirrored finish. Isn’t it the ideal companion for this upholstered bed? Are you all about color? 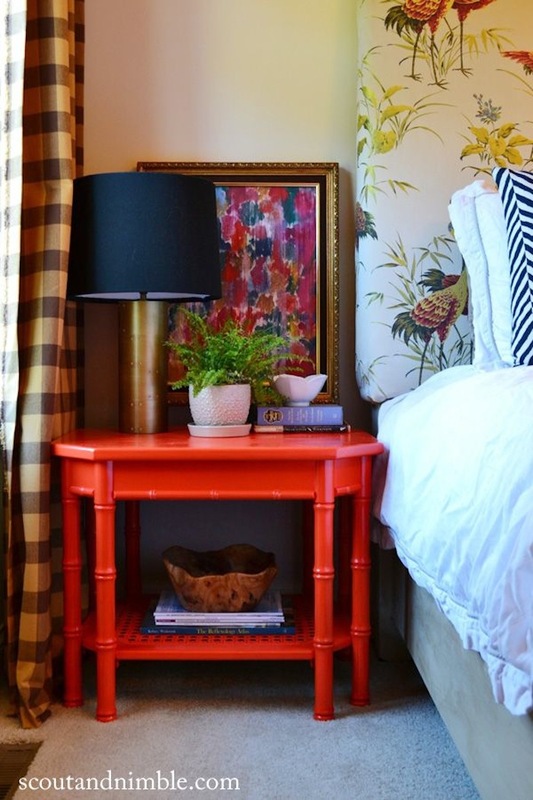 Choose a Chinoiserie style bedside table in a brilliant red hue. Turquoise would also be a bold choice for this piece. 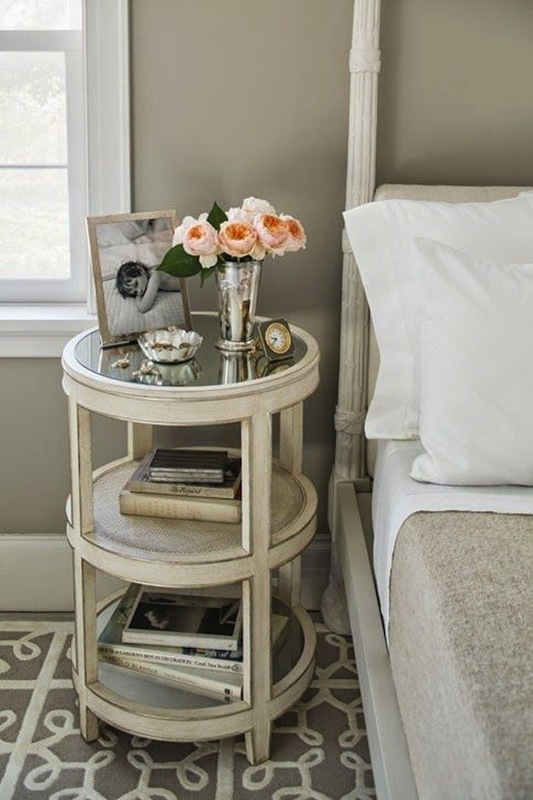 Add a romantic look to any bedroom with a white wrought iron and glass bedside table, then fill it with some of your favorite things. Hang a crystal or glass pendant light for even more feminine appeal. 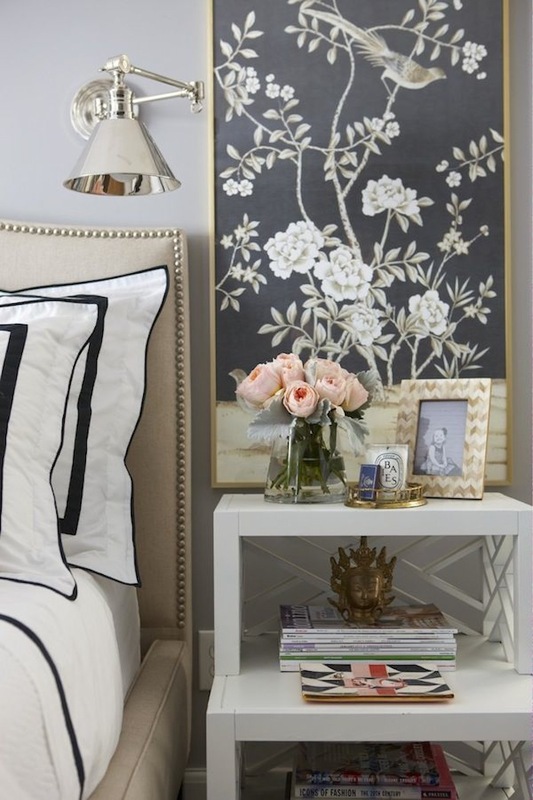 Some bedside tables are chic and stylish built-ins. 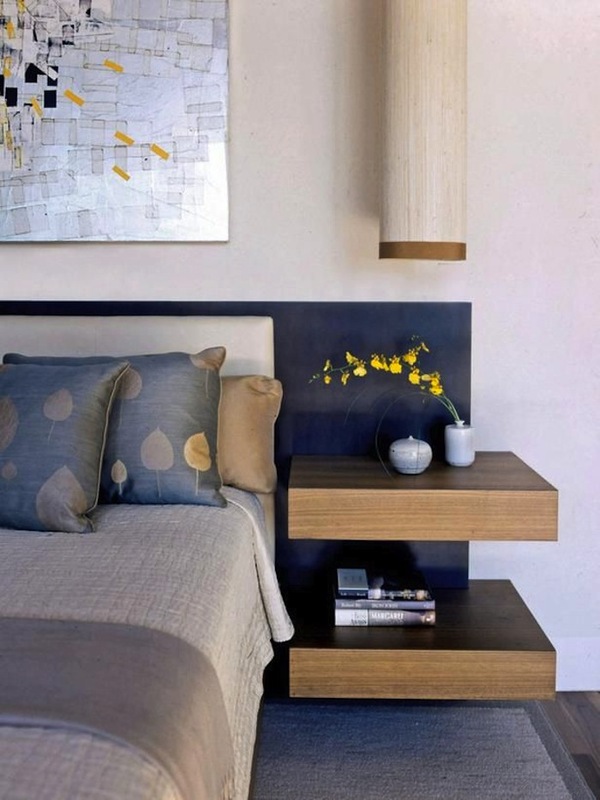 These floating shelves are perfect as an extension of this sleek headboard. Get creative. 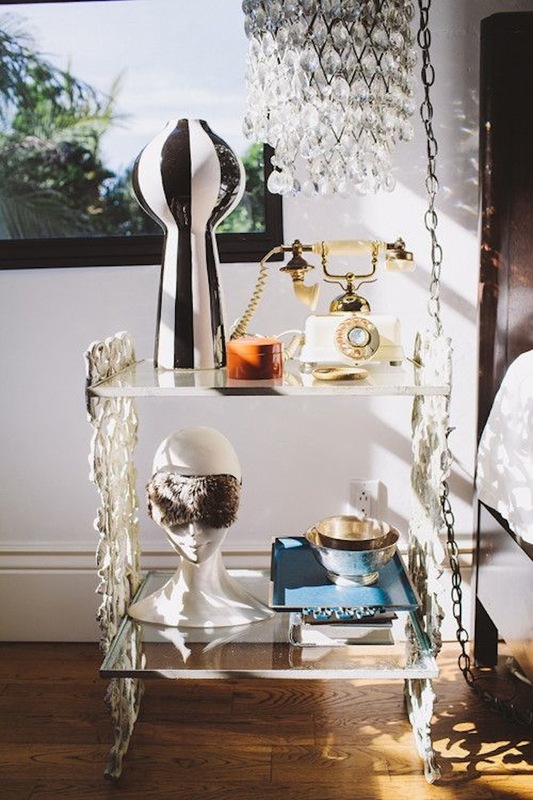 This iron and glass bar cart makes a great mobil bedside table. Go with an old school look with a step down beside table (often used as a end table beside a sofa or chair in the living room. This one feels updated in white. 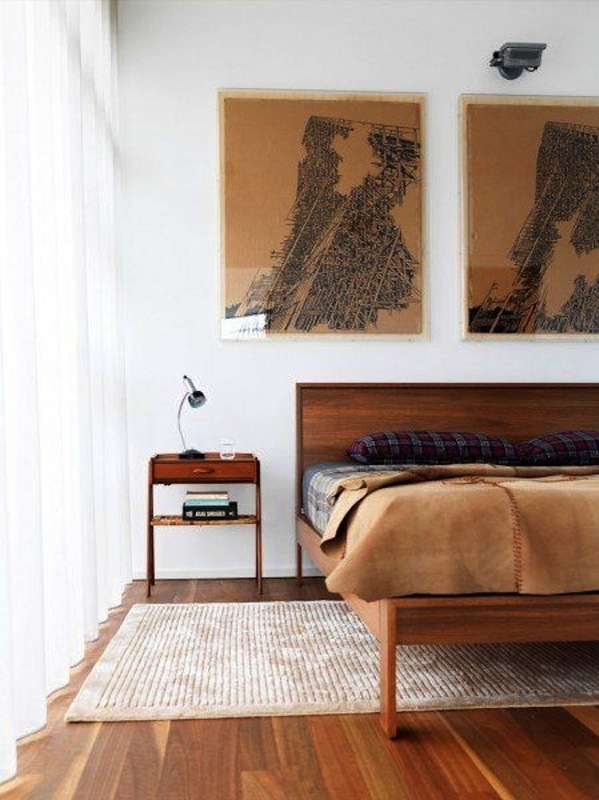 A delicate wood table looks very much at home beside a sleek modern wood bed–handsome indeed. 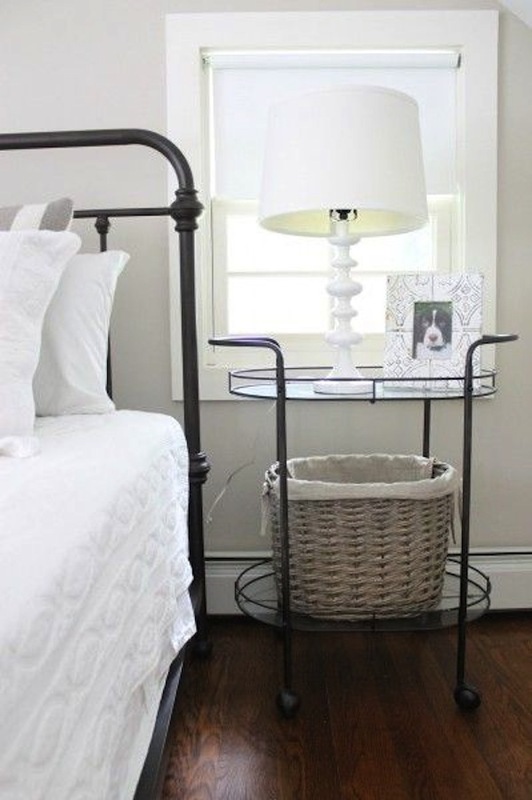 A distressed white wrought iron base can easily be topped with a round wood top, although we’ve also come to think in terms of topping such a bedside table with thick glass. 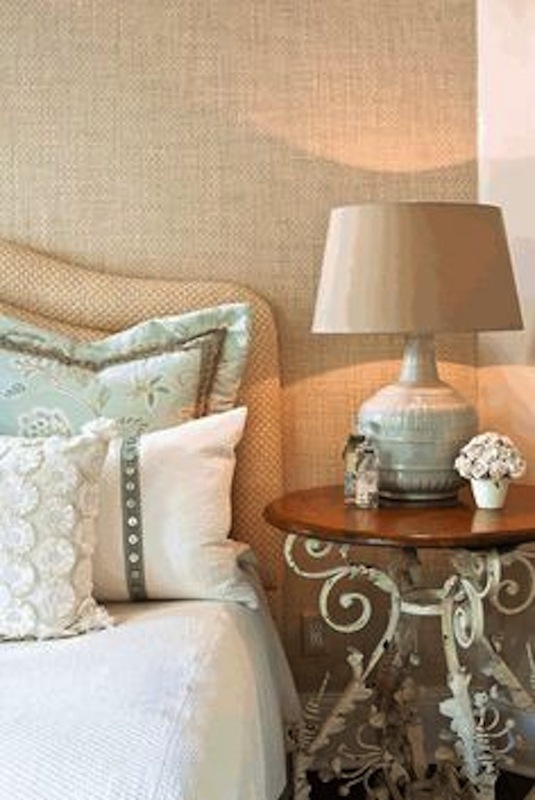 Either way it’s a look that works well with many design styles from shabby chic to traditional. 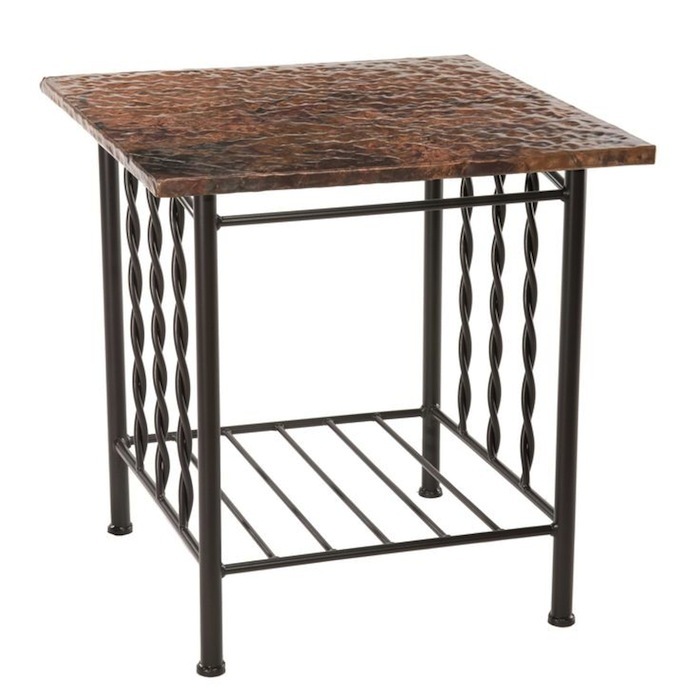 Of course, living in a world filled with wrought iron and other beautiful metals, tables like the one above are our favorites for handsome bedside tables. We hope you’ll check out our collection of beautiful wrought iron tables at Timeless Wrought Iron. Image Sources: Pinterest.com; HGTV.com; ElementsOfStyleBlog.com; EclecticallyVintage.com; DesignSponge.com; HomeBunch.com; TheOrdinaryMadeExtraordinay.com; BecauseItsAwesome.com.